This entry was posted in Uncategorized and tagged food, green curry, photography, platter, project 366, rice, sesame honey chilli potatoes, thai, vegetables. Bookmark the permalink. 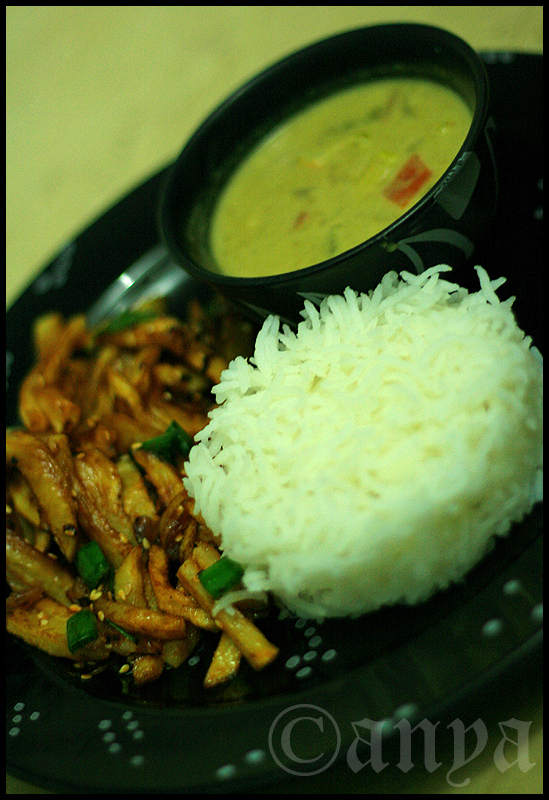 Yum… now you are making me even more hungrier with this post of yours and now I crave for Thai food…. Manish: I followed a recipe by Sanjeev Kapoor, I’d seen on tv.